The Cake Mix is an extremely simple cocktail with just two ingredients. But sometimes simple is best, and the flavor on this one is a lot of fun. This drink mixes vanilla vodka with ginger ale, so it’s sweet and mellow, tasting more or less like raw cake batter – which is pretty fantastically deliciously. This drink is fun and easy going, which makes it perfect for pretty much any occasion or with any meal. It’s also great for parties because it’s so simple to make. Fill a cocktail glass with ice. 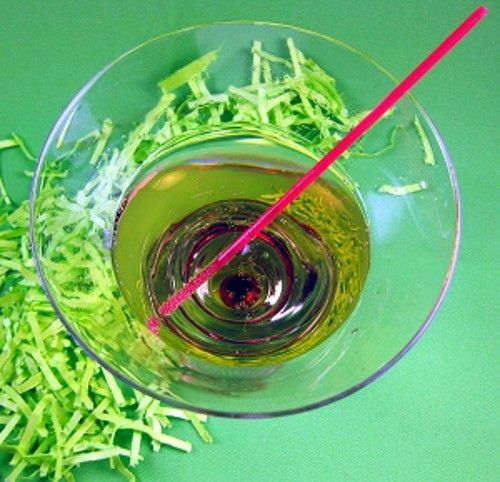 Pour in your two ingredients, and serve with a stir straw. A server at our local bar suggested this combo, but she didn’t know the name of the drink.. My friend & I fell in love with it immediately! This is now my go-to drink at home. Super easy & light, when you just want 1 drink for the night.